So the owner of the car was identified and the painter was identified. But Victor Moscoso was not mentioned. Victor Moscoso is a famous rock poster creator (he drew tons of the classic posters from the 1960s) and a long-time member of the Zap Comix gang. 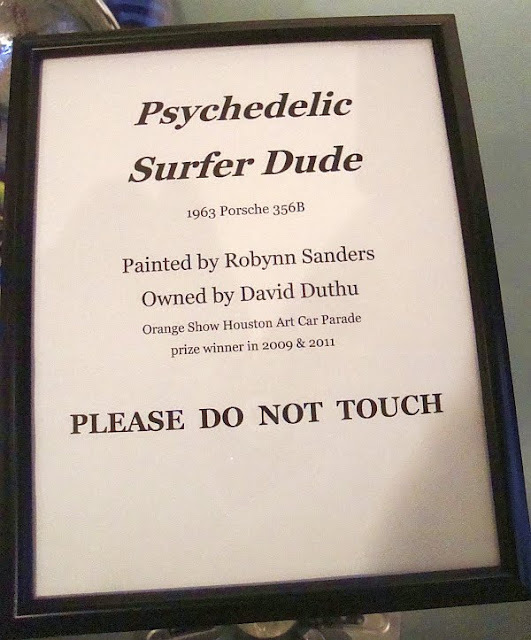 Robynn Sanders used this image by Victor Moscoso as the basis for the paint job she did on David Duthu's car. Personally, I don't think there is anything wrong with this--it is clearly a one-off job (not that many owners of 1963 Porsches are looking for custom surfer paint jobs) and an homage to the Zap cover. Indeed, for all we know, Duthu may have specifically commissioned Sanders to put that image on his car. 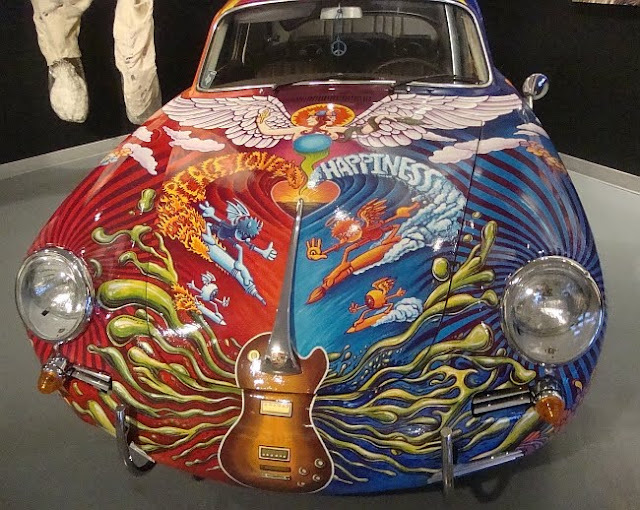 But the Art Car Museum should have acknowledged Victor Moscoso as the originator of the image. Interestingly, this cover by Moscoso was itself an homage (but definitely not a swipe) to Rick Griffin, another Zap Comix artist who had died in a motorcycle crash in 1991. Moscoso basically combines Rick Griffin's drawing style with his own for this cover, and employs a lot of Griffin motifs. 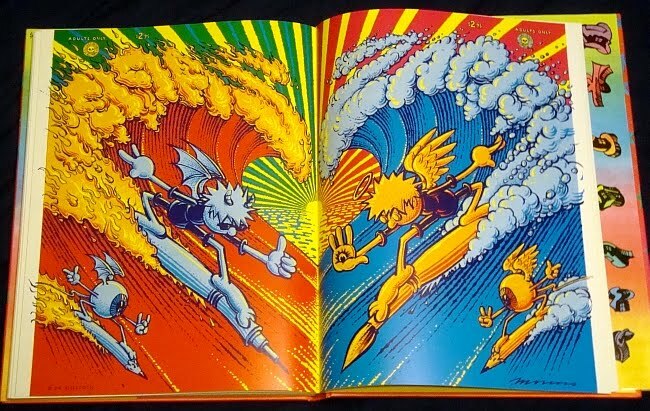 Griffin was a long-time surfer and well-known surf artist who is one of the key artists of the 60s counterculture (as is Moscoso). Wouldn't we rather have our minds blown by something original? Wonder if anyone was paid a royalty? Or maybe they don't have an address to mail the check to because they're living under a bridge. Are you an artist or a pantograph? Wow, Boyd at the Art Car Museum. . . I go to the Art Car Museum every time they have a new exhibit. The one they have up now, Fourteen, is a mixed bag but has some great stuff--I love the Kelly Allison painters. We have been in touch with the owner of the car, who has been very cooperative, and are in the process of correcting the situation.